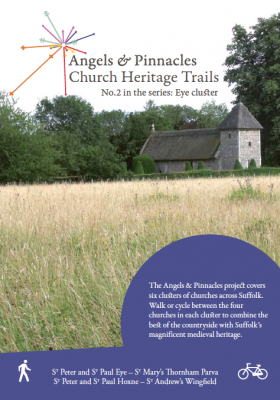 There are many ways to discover Suffolk’s medieval churches but by bike or on foot you can savour the delights of the countryside at close quarters. There is a real sense of achievement to be had from walking or cycling between churches, quite apart from the gorgeous views on the way. 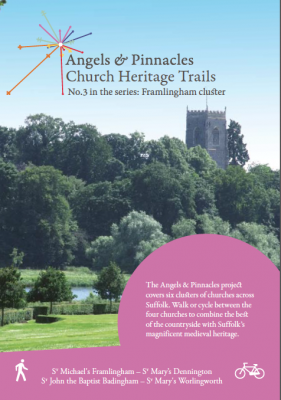 Why not try out the Angels & Pinnacles trails to help you explore some of Suffolk’s most iconic churches? You can also take the Bells and Battlements tour by classic car if walking or cycling is not for you. Around the beautiful River Deben, the Shottisham trails are all within the Area of Outstanding Natural Beauty of Suffolk Coasts & Heaths. Take a whole day’s easy walking between four medieval churches without having to re-trace your steps or enjoy a relaxing section at a time, lingering where the mood takes you. Ancient heaths, gorgeous river views and wild beaches make this a day out to remember. The lovely market town of Clare is set in rolling countryside and this area of south Suffolk is known and loved for its half-timbered cottages and towering wool churches. These walks are not challenging and you’ll reap rich rewards on arriving at your destination. Trails out of Framlingham offer some spectacular views of Suffolk. Why not take the Badingham route that starts from the castle? On your return you can explore the castle and climb up to the curtain walls to see where you’ve been. 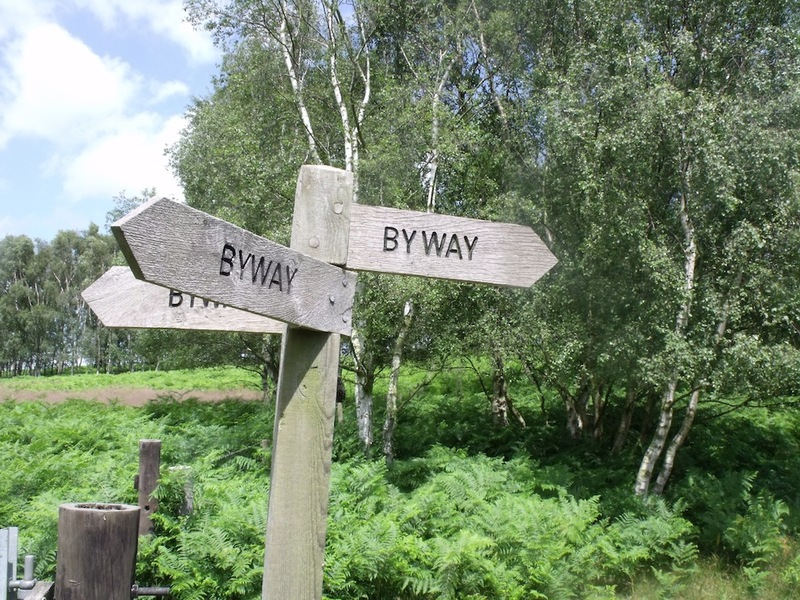 An easy walk takes you from St Mary’s Dennington to Badingham and back again – only five miles in total and you can return in time for lunch at the local pub by the church. The Eye area is the place to lose yourself in narrow lanes among pretty thatched cottages. The soaring tower of Eye church can be seen for miles, giving you a wonderful focal point for your rambles. These trails take you to some of the most stunning churches in the country. 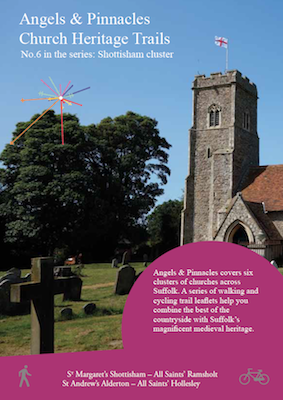 In and around Southwold, your walks will include the mighty church towers that once served as landmarks for ships at sea. 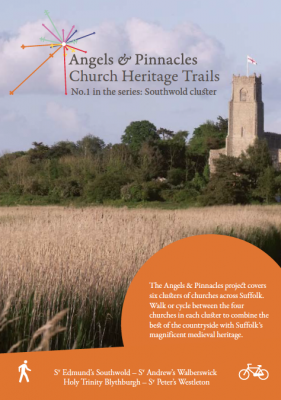 Gorgeous coastal heath, unspoilt beaches and great places to eat and drink await you in this special corner of Suffolk. If walking or cycling is not for you, why not hire a classic car for the day and do the Bells and Battlements tour? You can choose from a range of classic cars from a Morgan to an MGB Roadster once driven by Virginia Wade. Families and friends can be included with a four-seater Triumph Herald or you can experience La Dolce Vita with an Alpha Romeo Spider. Open Top Touring, in partnership with Angels & Pinnacles are offering the tour at very reasonable prices. Download the leaflet to find out more. 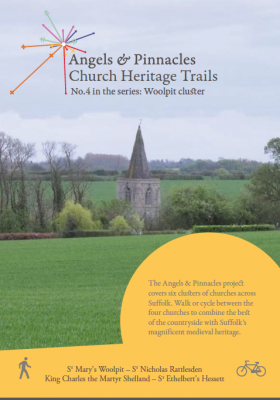 Take the Towers & Spires cycle trail from St Edmundsbury Cathedral and discover 10 beautiful churches while enjoying the unspoilt countryside of Suffolk. There are places to stop and eat on the way or you can pack a picnic to enjoy in a tranquil churchyard. There’s a shorter route for families too. 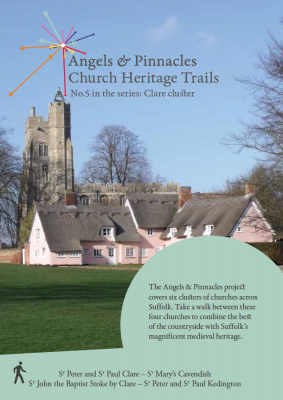 This trail was created in partnership with Discover Suffolk, the Church Buildings Council and Sustrans, the cycling charity.